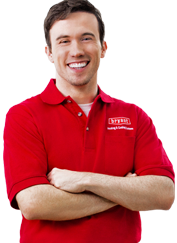 As a family-owned, local plumbing company, Air Technical Services Heating and Cooling knows customer service. For two decades, we have been providing residential and commercial plumbing in LBI and surrounding areas. In addition, we provide AC and heating services, maintenance, installation and repair services for customers throughout Long Beach Island and Barnegat, NJ. It has been our pledge since day one to complete every job to our high standards and the satisfaction of our LBI customers, regardless of the plumbing challenge presented. Fast. Honest. Affordable. When you hire Air Technical Services Heating and Cooling for any plumbing concern, no matter how big or small, you can feel confident that the job will be done right the first time. We are your local LBI plumbing company you can trust. As a full-service solution, our licensed and trained technicians are well-equipped to handle any plumbing need and take pride in the work they perform for each and every LBI customer. Whether you need new home plumbing installation or camera scope drain lines, we do it all. Experience top quality residential and commercial plumbing services in LBI including repairs, winterizing, water heater installations, remodeling, drain cleaning and more. Give us a call today at 609-698-3400! As your local, trusted plumbing LBI company, we offer a variety of Plumbing maintenance service plans to ensure all your residential or commercial plumbing needs are covered. In addition, maintenance plan customers also receive priority status. Our plans are designed to for servicing on gas or electric hot water heater equipment and/or whole house coverage which includes one kitchen, three bathrooms and one hot water heater. Pretty much everything…including the kitchen sink. If you’re looking for Plumbing LBI services near you, call in the seasoned experts at Air Technical Services. How do I shut off the water in my house? To shut off your water line, you must first locate the shut-off valve which is located where the water pipeline from the meter enters your LBI home. Like normal knobs, turning it clockwise will close it (turning off your water line) and turning it counterclockwise will open it up (turning on you water line). What are the signs that I need to inspect my sewer line? If your toilets are starting to drain slowly, sinks are backing up or showers become clogged, a sewer camera scope may be needed to identify any issues with drain lines. Another common sign to look out for, rather smell, is a foul odor near plumbing areas. If you have tried other solutions to your plumbing problems…and they’ve failed, it’s time to take a look inside your pipes. How do I winterize my vacation house plumbing system? Before sub-freezing weather arrives in LBI, it’s best to winterize water and drain lines to avoid potential property damage from bursting pipes or leaks. This is the best insurance to preserve and protect your vacation home investment. Winterizing your home’s plumbing in LBI includes installing insulated hose covers, turning off the main water supply to the house, draining the pipes of water and shutting off the hot water heater. The best way to ensure your home is ready for winter is to trust in the Air Tech Concierge Program to handle the plumbing preparations for you.